PM URGED TO SCRAP NEW INSURANCE SCHEME! The Consumers Association Of Subang and Shah Alam, Selangor (CASSA) notes that Bank Negara Malaysia (â€œBNMâ€) plans to introduce a new motor insurance scheme. CASSA understands that BNM has formed working committees in relation to the proposed scheme since November last year with the intention of implementing the scheme in the second half of 2010. The second half of 2010 is just 3 months away. YAB Datoâ€™ Seri and Prime Minister Sir, it is our humble contention that any new scheme will have an impact on every road user in Malaysia.Â This means practically every one in Malaysia is affected. And any one of us can be accident victims. Therefore, any new scheme must only be introduced after full consultation with all interested stakeholders including consumer associations, trade related associations, the Bar Council and other interested bodies. CASSA notes with concern that none of these stakeholders have been included in the working committees established by BNM. Instead, these working committees comprise representatives from the insurance industry. It is clearly possible that the views and proposals of the insurance industry may be focused on issues of profitability and premium rates. The needs and views of the ordinary road user may not be given due and sufficient consideration. CASSA also notes that there have been calls from various parties for BNM to be inclusive in these discussions. There have been letters to the papers since January 2010. CASSA has been calling for consultations and deliberations for a number of months.Â There has been no response from BNM giving details on the proposed new scheme. Finally, on the 23 March 2010, a letter has been published in the Star from BNM.Â In this letter BNM states that it will be conducting consultations with all relevant stakeholders. The irony is that on the other hand, the same letter goes on to state that current insurance premium rates are low and that Â the amount paid out by insurers in comparison to the premium collected is high. The letter then goes on to state that the new scheme seeks to ensure that all motorists obtain a basic motor insurance coverage at a reasonable premium commensurate with the level of protection provided. This letter of BNM suggests that BNM already has in mind its proposed structure. Prime Minister Sir, CASSA puts on record that this has been done without consultation with the relevant stakeholders.Â This letter indicates that the new scheme will seek to further limit the compensation payable to motor accident victims and their families (which is already limited following amendments made in 1984 to the Civil Law Act). CASSA is also concerned that the new scheme would require motorists/road users to take additional personal accident insurance coverage if they require additional coverage. YAB Datoâ€™ Seri, both these approaches will result in the insurance industry standing to benefit at the expense of the ordinary road user. BNM should learn from the experience gained on the proposed 2 tier petrol price scheme and the imposition of the GST. The public was not adequately represented/consulted in the discussions. The end result was wasted time and effort in putting forward proposals which were not acceptable to the public resulting in these proposals being deferred. CASSA therefore reiterates its position that before anything further is implemented or proposed by BNM, BNM should engage immediately in open discussions and deliberations with all concerned stakeholders. Indeed, Â these stakeholders shouldÂ have been involved in the discussions from the beginning. This would accord with the present 1Malaysia : People First approach of the Government! NEM – NAJIB SET TO DELIVER PROACTIVE CHANGES! Prime Minister Sir – my humble hope is that while the New Economic Model is introduced the platform will also not ignore the pertinent need to address corruption, political brawling, racist and uncompetitive policies that is dragging us down the abyss of destruction! It is a special week for Christians as it is Holy Week – a time for deep reflection, pause, prayer and to seek the Almighty’s strength and grace in one’s life! It is also an interesting week, as I brief the Law Minister today on my thoughts and fears on the ‘new insurance scheme’ and other matters! More importantly, I am indeed looking forward to analyzing the governmentâ€™s New Economic Model (NEM) aimed at luring foreign investors and showing that we mean business and move the manner we must to be globally and economically competitive! I am advised that beloved Premier Najib Razak will announce the reforms on Tuesday, this week which I pray will also strike a balance between the demands of investors and those of voters who handed the Barisan Nasional Coalition its worst ever results in 2008 elections. As I have stated many times before it is my hope that while the New Economic Model is introduced the platform will also not ignore the pertinent need to address corruption, political brawling, racist and uncompetitive policies that is dragging us down the abyss of destruction! We cannot run away from the need to be competitive, instill major market and institutionalized reforms so that the right message gets across! I am certain Najib’s intentions are decent, dedicated, result and reform orientated to attract much-needed foreign funds to boost economic growth and create employment while taking a real hard look at corruption, seepages, wastage, duplication and ill conceive privatization of government assets! I sincerely hope it will be an interesting week which shows dedication and administrative vision instead of what we saw last two weeks where it was full of mud slinging and gutter politics at its best â€“ politicians addressing personal issues and agendas which simply was a betrayal of the voters trust and the aims of the highest policy and law making body â€“ the Malaysian Parliament! If they continue such – they may be financially wealthy but morally and ethically bankrupt and a basket case – the ideal requirements to be rejected at the next General Elections! 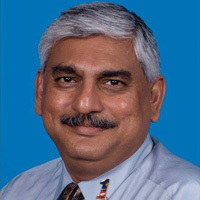 G PALANIVEL â€“ THE RIGHT CANDIDATE FOR BY-ELECTION! The truth is, times have changed and changed radically. It is no more a directive top down hierarchy that works but one that needs to be steeped in collective leadership, accountability, good governance and transparency. Warlords and bullish methodologies do not work any longer. Neither threats of deserting the party if post not given as one 31 year old idiot told me claiming he represented a former deputy minister who should be given the seat to return to active politics! He wanted me to speak to the Premier but I told him that both his political master and he are not only political opportunist but plain idiots! They forget â€“ the operative word is political diplomacy which is never the manner things were done within before! Today voters want leaders who are role models and not alleged to be drunkards, womanizers, pimps, thugs and all those corrupt and vulgar. And the truth is if indeed MIC â€“ the third-largest BN component party – is to survive the next general elections there must be holistic change. I am not talking about â€˜Press Release Changeâ€™ â€“ and â€“ true, we can preach about training, leadership and management courses for division and branch leaders, of KPIs and all that but plainly that is all sheer poppycock! As a political and public policy analyst, I am aware that we can announce well-worded press releases with all kinds and manners of spins but all these are to no avail in todayâ€™s political climate! As I stated to a senior Minister last week, if political parties had carried out its boast that they will embrace a key performance indicator to gauge its leadersâ€™ performance and party policy and directions – this matter would have been long resolved! The feedback on the ground is firm and direct. They want to see change, holistic change and they want model leaders! And as I direct my sights at the coming by-election at Hulu Selangor I cannot but lend my support and appeal to Premier Najib Tun Razak, that my dear friend, G Palanivel be given the Hulu Selangor seat to contest and initiate a Barisan Nasional resurrection in the state of Selangor! 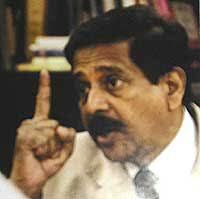 I am confident G. Palanivel will win the seat handsomely as he has been working in the consistency relentlessly. I believe G Palanivel is the man to lead the move to regain â€˜lost ground and the lost Indian votesâ€™ but time is of the essence and I sincerely pray, he will be given that opportunity sooner rather than later. I am certain that the winning margin will be above the 2000 mark! 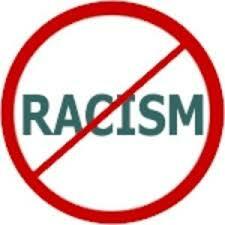 Our campaign against RACISM AND GENOCIDE of all forms! CASSA BRIEFS BN MPs AND SLAMS BANK NEGARA! 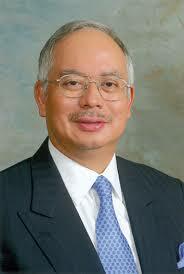 Who is Bank Negara Malaysia serving? The Malaysian Consumers or the Insurance Industry? Is there a ‘covert plan’ to create another umbrella organization – the ‘go in-between’ as one’s retirement plan with huge perks at the expense of the Malaysian consumers – among them the rural and urban poor, farmers, fishermen, factory workers, plantation workers and affected poor groups? I told BN MPs today that this will create another ‘political minefield’ for the federal government and the BN MPs from the grassroots! It is in the interest of the government to kill this scheme before it breeds further backlash! Time the government got rid of the ‘little Napoleons’ at Bank Negara Malaysia and the Malaysian Civil Service if it wants to see the present 1Malaysia : People First approach of the Government really succeed! The second half of 2010 is just 3 months away.Â Â Any new scheme will have an impact on every road user in Malaysia.Â This means practically every one in Malaysia is affected. And any one of us can be accident victims. Instead, these working committees comprise representatives from the insurance industry.Â It is clearly possible that the views and proposals of the insurance industry may be focused on issues of profitability and premium rates. The needs and views of the ordinary road user may not be given due and sufficient consideration. CASSA also notes that there have been calls from various parties for BNM to be inclusive in these discussions.Â There have been letters to the papers since January 2010.Â Consumer associations Â and the Bar Council have been calling for consultations and deliberations for a number of months. There has been no response from BNM giving details on the proposed new scheme. Finally, today, a letter has been published in the Star from BNM. In this letter BNM states that it will be conducting consultations with all relevant stakeholders.Â On the other hand, the same letter goes on to state that current insurance premium rates are low and that Â the amount paid out by insurers in comparison to the premium collected is high.Â The letter then goes on to state that the new scheme seeks to ensure that all motorists obtain a basic motor insurance coverage at a reasonable premium commensurate with the level of protection provided. This letter of BNM suggests that BNM already has in mind its proposed structure.Â This has been done without consultation with the relevant stakeholders.Â This letter indicates that the new scheme will seek to further limit the compensation payable to motor accident victims and their families (which is already limited following amendments made in 1984 to the Civil Law Act). CASSA is also concerned that the new scheme would require motorists/road users to take additional personal accident insurance coverage if they require additional coverage.Â Both these approaches will result in the insurance industry standing to benefit at the expense of the ordinary road user. BNM should learn from the experience gained on the proposed 2 tier petrol price scheme and the imposition of the GST.Â The public was not adequately represented/consulted in the discussions.Â The end result was wasted time and effort in putting forward proposals which were not acceptable to the public resulting in these proposals being deferred. CASSA therefore reiterates its position that before anything further is implemented or proposed by BNM, BNM should engage immediately in open discussions and deliberations with all concerned stakeholders.Â Indeed, Â these stakeholders shouldÂ have been involved in the discussions from the beginning. Prime Minister Sir – This would accord with the present 1Malaysia : People First approach of the Government – your administration Sir! NFC INSURANCE SCHEME â€“ CASSA & BAR BRIEF BN MPs! What is there to be surprised? As you are reading this update â€“ Consumers Association of Subang and Shah Alam, Selangor (CASSA) officials and senior members of the Malaysian Bar are handing over a joint memorandum and briefing the Barisan Nasional MPs on their concerns about this controversial industry driven scheme by Bank Negara Malaysia (BNM) to cover third party bodily injury and death! You can expect â€˜fireworksâ€™ because certain â€˜little Napoleonsâ€™ have not learnt the new script prepared by none other but reform minded and proactive Premier, Najib Tun Abdul Hj. Razak where primarily importance is given to Malaysian consumers (the Rakyat)! Some demography has forgotten that today it is about winning the â€˜hearts and mindsâ€™ of Malaysian consumers through proactive accountable and transparent consultation as against unilateral, clandestine, covert and unilateral initiation of schemes that will have a major impact on all Malaysian Consumers! Gone are the days of high powered arrogance and â€˜I know best syndrome!â€™ and gone are the days you take for granted the need to include the NGOs, the civil society and the grassroots in policy issues and its formulation! And why are we addressing this issue in the manner we are doing? (e)Â But then again – only very recently after I went â€˜berserkâ€™ in my blog, and aided by several letters to the newspapers (in late January 2010 in the Star, February 18, 2010 and March 3, 2010 in the NST and Malaysiakini) and a memorandum and press statement by the Bar Council on March 6, 2010 has BNM indicated that it will call the â€˜stakeholdersâ€™ for a meeting. This meeting is scheduled to be held in April 2010? I am aware that the quantum for damages for personal injury claims is seriously limited under the Civil Law (Amendment) Act 1984 and we note that there has been vast improvement of the current court system under Chief Justice YAA Tun Dato Seri Zaki Tun Azmi which has resulted in speedy resolution of disputes, clearance of backlog of cases, mediation in courts, the establishment of dedicated courts for accident cases and the introduction of guidelines on the quantum of awards to enhance consistency and as such there is no need for such a draconian and controversial change! (h)Â My contention â€“ in fact, any reasonable man/womanâ€™s feeling is that any major change in the motor insurance scheme should involve all concerned stakeholders.Â They should be involved in the discussions from the beginning and not after BNM (together with the insurance industry) have formulated their proposals. You will remember that a similar situation arose in relation to the proposed 2 tier petrol price scheme and the imposition of the GST. Many trusted the â€˜spin masterâ€™s in the main stream media but the end result was wasted time, effort in putting forward proposals which were not acceptable to the public and an embarrassing retreat! 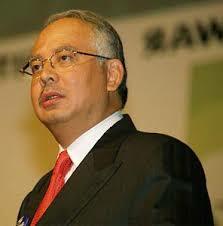 Are the â€˜little Napoleonsâ€™ at Bank Negara Malaysia planning another embarrassment for the federal government? Bank Negara you have been warned!